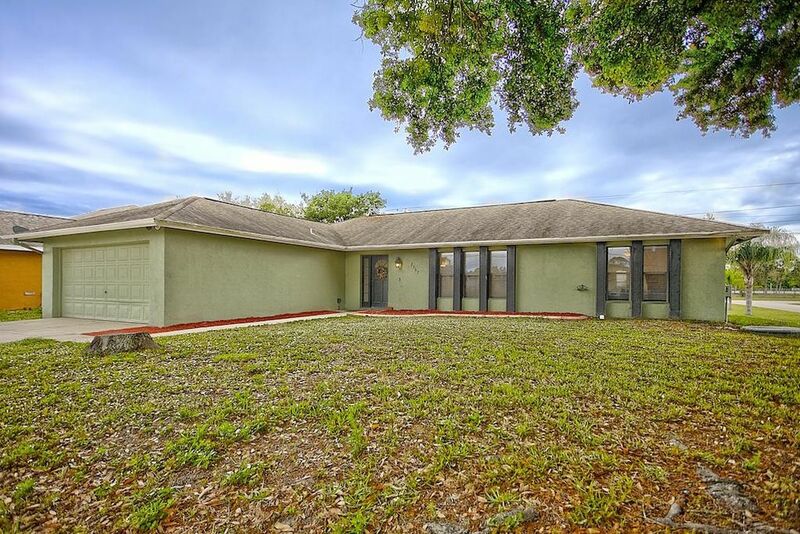 RARE FIND, A FOUR BEDROOM POOL HOME WITH 2177 SQ FT UNDER A/C. GREAT FLOOR PLAN, GOURMET KITCHEN, GRANITE COUNTER TOPS, TONS OF CABINET SPACE, FEATURES PASS THROUGH WINDOW TO ENORMOUS COVERED PATIO. UPGRADED WOOD LAMINENT FLOORING .GUEST BATH RECENTLY REMODELED, NEW TILE, NEW TUB. NEW TOILET BOWL. ROOF REPLACED IN 2006. CBS CONSTRUCTION. STATE OF THE ART POOL & ENCLOSURE, FENCED IN YARD, OVERSIZED CORNER LOT. EASY ACCESS TO FL TURNPIKE MAKES THIS A COMMUTERS DREAM. Directions: PSL BLVD TO BAYSHORE TO THIRD RIGHT ON INWOOD, FIRST LEFT ON COOPER LANE, CORNER LOT, SIGN ON THE PROPERTY.